As you guys know, I’m a big fan of pink clothing and this season, pink is a huge trend in men’s fashion. 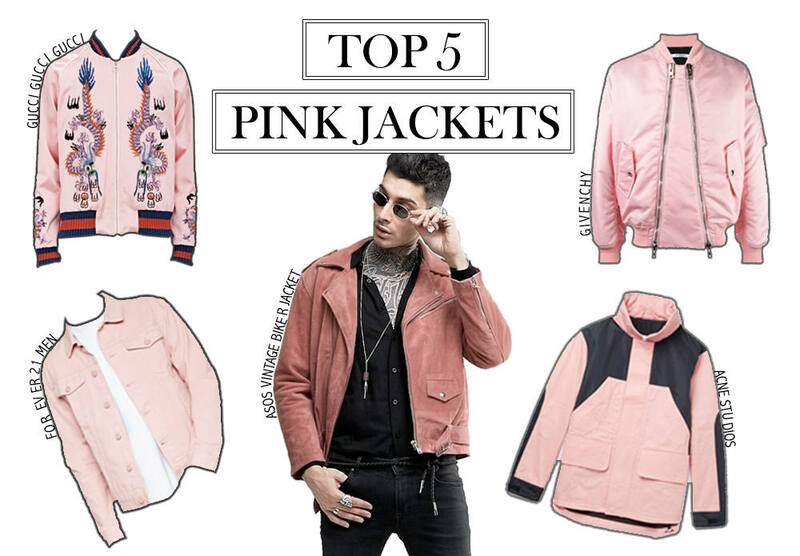 So for this edition of my Top 5, I’ve rounded up some of the best pink jackets to elevate your spring outerwear game. From satin silk to luxurious suede, pink jackets are coming in all permeations. If you’re not totally sure about pink and just want to dip your foot in on the trend, my suggestion would be to start with a denim jacket, like this one from Forever 21. However, for those of you who are ready to fully commit, there’s this Givenchy bomber and for the ultimate purchase: a Gucci souvenir jacket. Next Post VIDEO: Spring 2017 Shopping Haul + A GUCCI GIVEAWAY! !